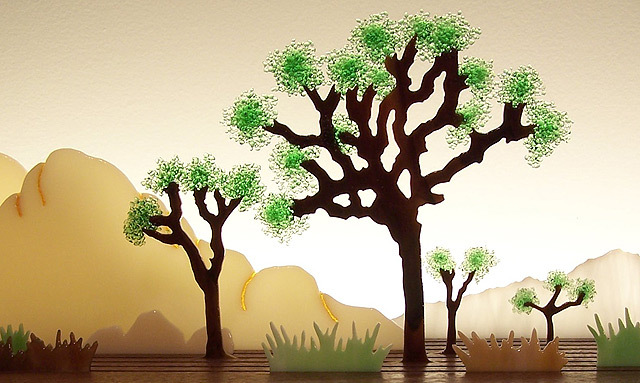 Inspired by Joshua Tree National Park, this work of landscape art combines exquisite glass-cutting technique and the delicate use of frit—crushed art glass—to suggest the spare environment of the southern California desert. The sculpture is illuminated either day or night by a light, recessed into the rear of the hardwood base, which is reflected off the wall behind. Limited edition of 25. Dimensions: 42" long by 8" deep by 10" high.